With all the glitz and glamor surrounding Le Mans this year, we took a step back in time a year before this day in the most grilling endurance race on this planet. The day of Audi’s dominance of the 24 Hours of Le Mans had been broken. 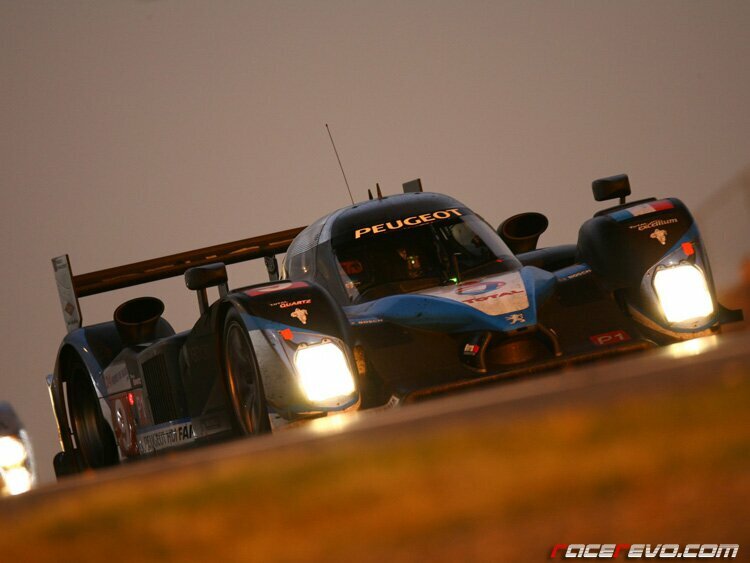 For Peugeot, the crew, the drivers and the cars were all in perfect harmony at Le Mans. It was a classic win for David Brabham, Alexander Wurz and Marc Gene. If there is a question on how to lap 382 times around Le Mans, covering 3,247 miles in 24 hours, Peugeot has the answer. Marc Gené drives the no 9 car and Nicolas Minassian drives the no 7 car. Stéphane Sarrazin waiting for his no 8 car in the pits. Basking in glory as the whole world salutes and bow respect to the new king of Le Mans. While waiting for the action in few days, Enjoy some of the video compilation narrating the “Story of Le Mans”.